We take pride in the satisfaction we leave our clients after every visit. We’re always ready to attend to your air conditioning needs, be it installation or maintenance services. We have multiple HVAC brands available to suit any situation. Our team are highly trained in the field, so you can have peace of mind knowing you’re working with the best. We offer free initial assessments and very competitive prices to work for your budget. South Sydney, colloquially known as the combination of St. George and Sutherland, is a fine and well-balanced mixture of natural landmarks and urban structures. Home to the famed Cronulla Beach among many other beautiful beaches and breath-taking views, thousands of tourists spend their time in this area of Sydney to experience this beauty. The Sutherland Shire, aside from being the centre of business, also includes the historical spot of Captain James Cook’s first landing. Miranda, on the other hand, is famous for its shopping centre. Here you can also find some of Sydney’s healthiest cafes and restaurants, finest hotels, and best establishments. Apex Airconditioning has dedicated itself to helping local businesses and residents stay comfortable through Australian temperatures, no matter how extreme they get. For over 15 years, our expert team has been providing installation and maintenance services all over Sydney. Shops and hotels rely on AC systems to keep their customers cool, and Apex is the one service provider you can rely on to secure their comfort. Keep your retail stores or office building comfortable through any season with our innovative solutions, all offered in a fair and affordable price point. To no surprise, Apex Airconditioning is taking Australia by storm; don’t be the last one to know why! With a professional team who listens to each of your needs, Apex Airconditioning always has the most efficient option for you. Whether you want a new HVAC system or you want a repair and maintenance for your existing unit, we vow to provide exceptional service and quality workmanship. 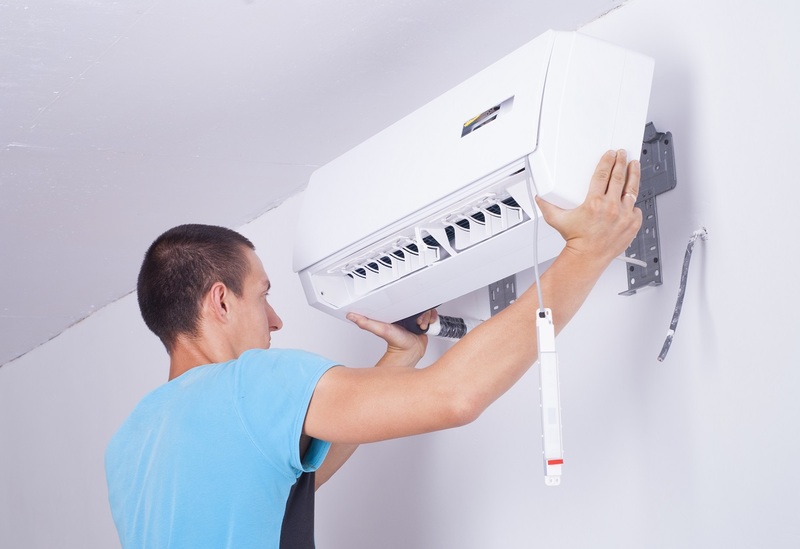 Need a professional and reliable air conditioning service in South Sydney? Call 02 9559 6108. As the world embarks on its path to modernisation, almost always to the detriment of the environment – no wonder why many Australians become more concerned about the environmental effects of our industries and daily activities. Air conditioning is no exception to this. Many people believe that air conditioners are one of the most severe carbon footprint emitters, and this might have been true in the past; however, HVAC units have come a long way to be more efficient, providing comfort to people without the harsh effects on the environment. Energy-saving “green machines” are highly prominent, something that the Apex team is most happy to help with. People often think that going green should always be heavy on the pocket – another misconception for uninformed consumers. Apex can provide eco-friendly options that can be cost-effective. Our dedicated Apex technicians are fully trained in all aspects of air conditioning and can assess your current situation to see how we can help you turn green. Whether you need a simple maintenance fix to save more energy or a complete overhaul of your HVAC system, Apex will always be able available to assess your office space or business location to see what solution would work best for you. With a dependable service, Apex Airconditioning guarantees 100% customer satisfaction on each site we attend. We offer free assessment without call out charges to offer you the best choices to work on your budget. Wherever you may be in Sydney, simply organise a time that suits you to come out and assess your site.